Reuters: A consortium of global technology firms has shared on its collective database the digital fingerprints of more than 800 versions of the video of New Zealand’s mass shootings that killed 50 people, it said on Monday. While it was not the first internet broadcast of a violent crime, the livestream of the massacre showed that stopping gory footage from spreading online persists as a major challenge for tech companies despite years of investment. Last Friday, social media users intent on sharing the mosque shooting video were said to have used several methods to create a new version with a digital fingerprint different from the original, so as to evade companies’ detection systems. “This incident highlights the importance of industry cooperation regarding the range of terrorists and violent extremists operating online,” the grouping, which includes Facebook Inc, Alphabet Inc’s Google and Twitter Inc, said of the attack. Facebook, the world’s largest social media network with about 2.3 billion monthly users around the world, said the original video on its service, a live broadcast of a gunman firing in and around a mosque, was seen fewer than 200 times. An archived copy drew about 3,800 additional views on Facebook before the company removed it, Facebook said in a blog post on Monday, but a user on online forum 8chan had already copied the video and posted a link on a file-sharing service. “Before we were alerted to the video, a user on 8chan posted a link to a copy of the video on a file-sharing site,” it added. No users had filed complaints with Facebook about offensive content in the livestream, it said, adding that its first user complaint came over the archived copy, 12 minutes after the 17-minute broadcast ended. Administrators for 8chan did not immediately respond to an email seeking comment, but have said previously they are cooperating with law enforcement. 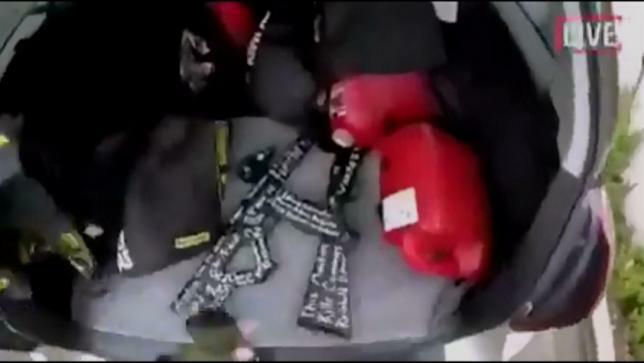 The gunman initiated the livestream using an app designed for extreme sports enthusiasts, with copies still being shared on social media hours later. Late on Saturday Facebook said it had removed 1.5 million videos within 24 hours after the Christchurch attack. New Zealand Prime Minister Jacinda Ardern has said she wants to discuss live streaming with Facebook, and some of the country’s firms are considering whether to pull advertising from social media. The Global Internet Forum to Counter Terrorism (GIFCT) was created in 2017 under pressure from governments in Europe and the United States after a spate of deadly attacks. It shares technical solutions for the removal of terrorist content, commissions research to assist its efforts to fight such content and works more with counter-terrorism experts.